The Playing Fields Association has organised a much-needed grand clean-up for the Playing Fields pavillion and car park on Sunday March 10, 2013 – 10:00-13:00. Anyone who would like to lend a hand will be very welcome! Complete the form below to volunteer! Are you concerned about people who drive too fast through the village? Would you like to help change people’s attitudes towards speeding? Would you like to contribute to a safer environment in King’s Sutton? If the answer to any of these questions is “Yes!” then you should be joining the King’s Sutton Community Speed Watch group. Community Speed Watch involves working with the police from time to time to target vehicles speeding through our community. Volunteers are trained to use handheld speed measuring devices. All those who receive training are covered by public liability insurance and all equipment – including warning signage, speed measuring devices and high visibility jackets – is provided. Volunteers need to be persons who are available occasionally to check vehicle speeds Monday-Friday at some of the following times throughout a single week: 08:30-10:00 in the morning, 16:30-18:00 in the afternoon. The next training session for Speed Watch volunteers will take place on Saturday March 16, 2013 at Northamptonshire Police HQ. Complete the form below to volunteer! This year’s annual village Litter Pick Week is set to take place week-commencing Monday March 11. Parish councillors and other members of the local community are assigned a couple of streets in the village to help clean up during Litter Pick Week. All volunteers are issued with a litter picking grabber, refuse sacks and a high visibility vest. Complete the form below to volunteer! Volunteers are needed for the British Red Cross in King’s Sutton. The Red Cross provides support for vulnerable people in this community and further afield, aiming to help people in crisis whoever and wherever they are. 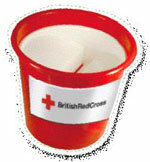 The organisation is on the lookout for local volunteers who could help manage collection boxes in King’s Sutton shops and businesses, and also for people willing to help during its National week of fundraising – May 5-11, 2013. Complete the form below to volunteer! Need Volunteers for Your Organisation? If you run an organisation that could use some help from local volunteers, kingssutton.org would be happy to help you recruit some. Complete the form below to tell us about your needs!